We may have had some really wild weather lately including baseball size hail; but snow? Not really, unless you are climbing a mountain; however, one way to get bargains is to scoop up deals that are from last season–overstocks. 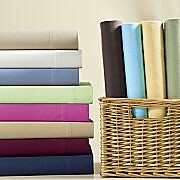 One of the overstock steals this Wednesday Only are flannel sheet sets at JCPenney. Top-rated among consumers and in sufficient quantity and colors, reg. $40-$80, steal priced today only $9.99-$16.99! While you are at this site, if you have a baby shower coming up in the very near future, check out the Carter® 4 pc. layette set for newborn 6 & 9 mos.,pink, blue and yellow prints, reg. 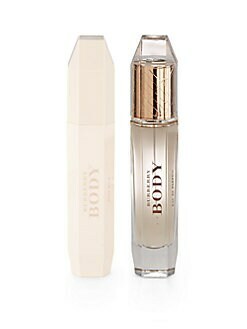 $24.00, steal priced today only $7.99. Adorable and priced right! Wednesday Steal: Spring's Red Hot Color! One of the hottest colors for this Spring is Red! If you want the look, but not the price tag of a Marc Jacobs® featured poncho trimmed in black consider this swing coat from JCPenney®. 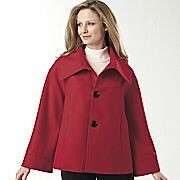 Only available until 12:00 Midnight tonight is this oversized collar, 3 black button figure flattering swing jacket, reg. $200, steal price today for $34.99. As with all good markdowns, the sizes are limited to S-XL in red and black/white houndstooth (always a classic). Markdown Mom says: If that’s your size, then grab this bargain today!